One of my ambitions for this year is to do more birding around New Zealand, and in particular try and knock off a few of the possible species here I haven’t seen yet, perhaps with a mind to breaking 100 species here in a year. Most of the species I need have small or highly restricted ranges in places I simply haven’t been yet. 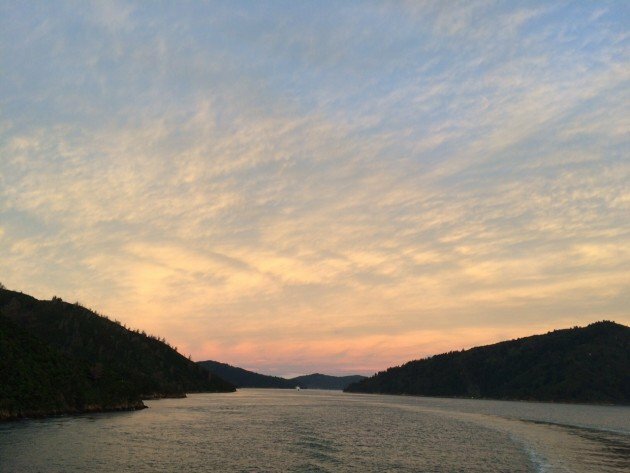 With that thought in mind I decided to hit the Marlborough Sounds over the Easter Weekend (we get Good Friday and Easter Monday off here in New Zealand, take that separation of church and state!) to pick up a few of there species, and so it was that on Thursday at 4 I left work and was pretty quickly on the ferry waiting to leave Wellington. The Interislander Ferry service is a pretty good place to watch birds from, so much so that it has signs around the deck of the ship telling you what to look for where. The ferry hadn’t even left the dock when I got my year Black-billed Gull, a South Island breeder that winters on the coasts of North Island (actually a new one for me in Wellington) among all the Silver Gulls (or Red-billed Gulls). Not bad when I’m just standing round with a gin and tonic waiting to go! The harbour itself was pretty quiet until we got out near the mouth, were large flocks of White-fronted Terns also hid a few Fluttering Shearwaters. There were a lot of Kelp Gulls in the seas just out from the mouth, and here I also saw a big pod of Common Dolphins, which were very pleasing for the other passengers. 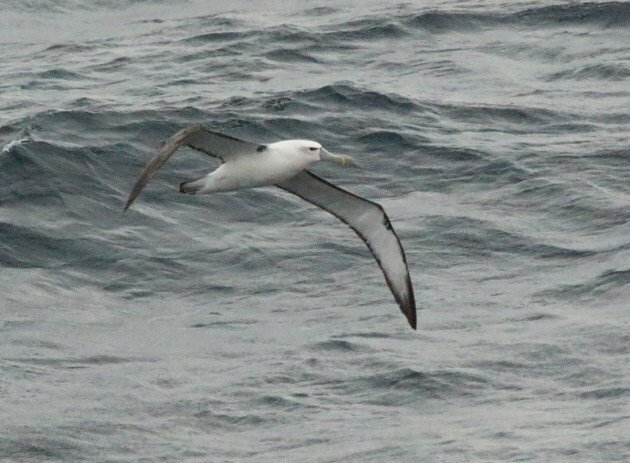 It was a little quiet at first in the Cook Strait proper, with only a few Sooty Shearwaters reminding me that New Zealand is the world biodiversity hotspot for petrels. 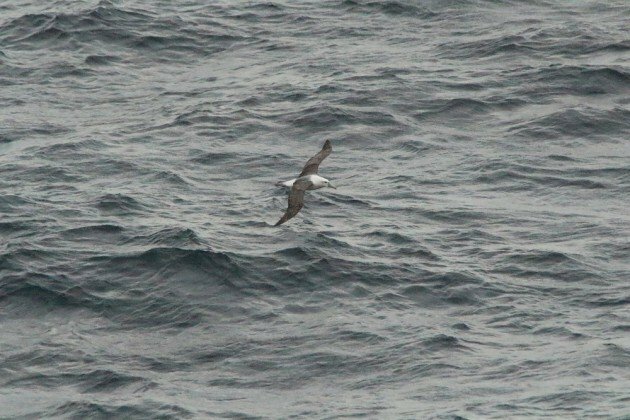 But eventually we hit a few big rafts of shearwaters with some Buller’s Shearwaters, Fairy Prions and best of all some Common Diving-petrels – the later of which represent my best ever views of this shy and tiny species. 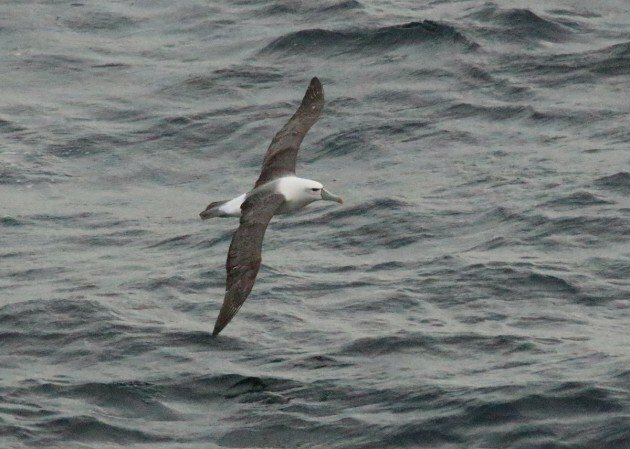 One thing that did worry me was a lack of albatrosses, I only had one distant flyby, too far away to identify. Without an albatross how could I torment Corey? But, eventually, one came by and stayed with us, following the ship or some time. In the open ocean albatrosses can follow ships for days, but this was the first time I had ever seen the behaviour and it was hellishly impressive to see them effortlessly keep up with the steaming ferry. Halfway through the trip one enters the Sounds and the pelagic birding ends. This is usually the less interesting part of the trip (but often the less exciting when it comes to ship movement, which can be a relief some days) but today the Sounds had a surprise up their sleeves (or bodies of waters). 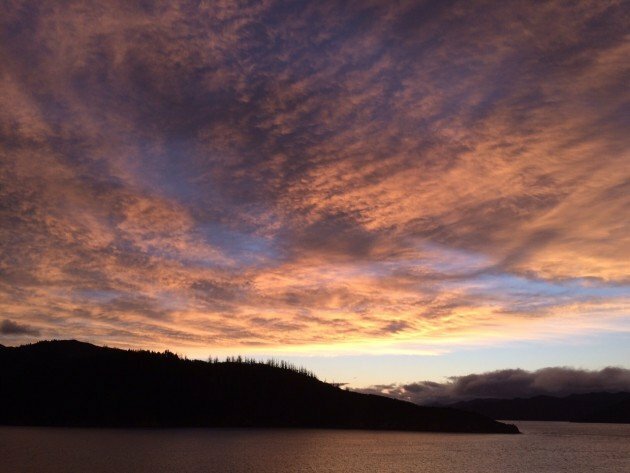 As we sailed to Picton the skies put on an epic display that I won’t soon forget. And then Picton. And did I get my Marlborough Sounds birds? Come back next week. Great post! I was lucky to visit Tasmania last month and saw 100 White-capped Albatrosses off the NE coast. 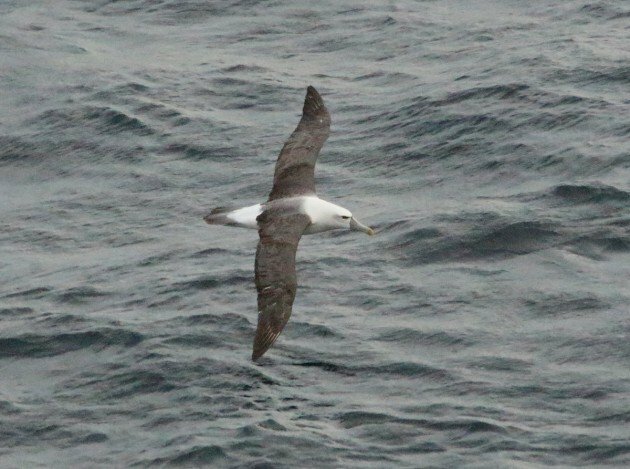 I’d never seen an albatross before, and it was absolutely thrilling.